The Hildegard Princess Dress is made of soft velvet fabric with beautiful brocade fabric side panels. 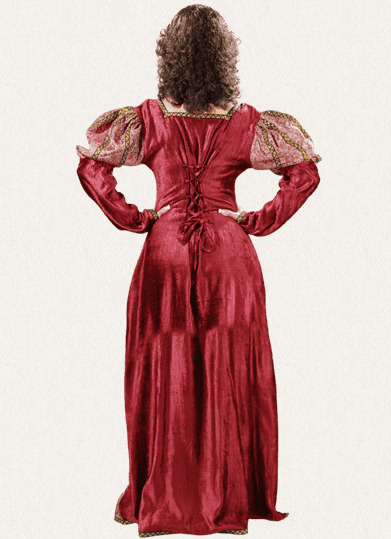 This dress has puffy upper sleeves which tighten through the elbows to the wrists giving it a unique appearance. There is a drawstring with loops on the back of the Hildegard Princess Dress for easy adjustability and comfort.